Anyone who has visited Hawaii and cares about the future of Hawaiian culture and traditions will want to read this document. 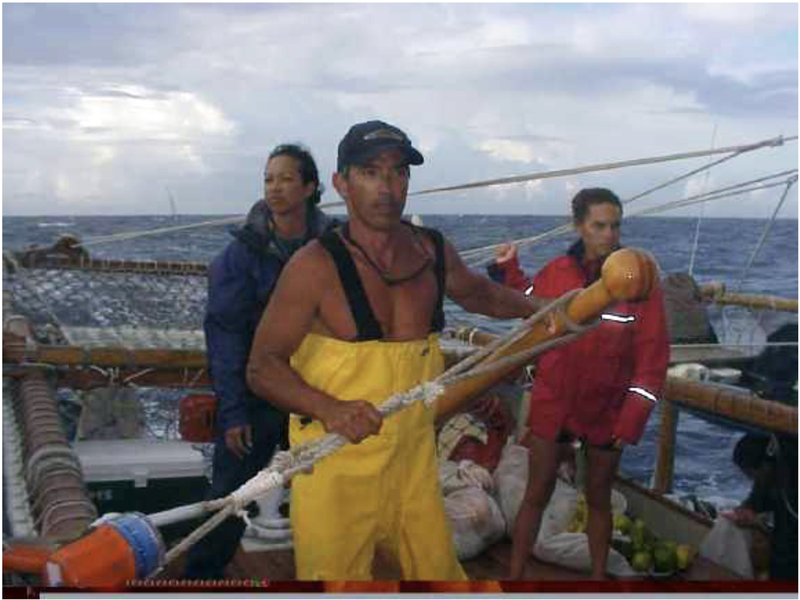 It's about Nainoa Thompson, navigator for the Polynesian Voyaging Society, who has inspired and led a revival of traditional voyaging arts in Hawai'i and Polynesia-arts which have been lost for centuries due to the cessation of such voyaging and the colonization and Westernization of the Polynesian archipelagos. This write up gives you a flavour for how the revival of Hawaiian society came about after almost 90 years of having their language, customs and history banned from the school system, during a period when Hawaiians were made to feel like second class citizens. Thankfully for all of us, a path was developed to turn around this situation and begin a movement to instil pride in the Hawaiian people in their history, ancestry, language and culture. It's a long read, but I'm sure you will find it interesting.